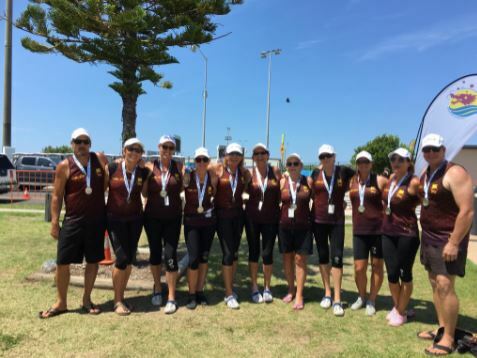 The Regional Central Queensland Team included paddlers from Cairns, Townsville, Mackay, Bundaberg Hervey Bay and Cooloola with the bulk of the 26 member boat crew members of the 1770 Dragons. Coach Hansen & Team Manager Lauren McGrath (both from 1770) have worked tirelessly with the team for the past 6 months. Some of the regional paddlers could only travel to 1770 for a couple of training sessions last year, and last Saturday – the day before the race – was the only opportunity for the team to train together. Sunday’s races were all State versus State with NSW winning by only a small margin. 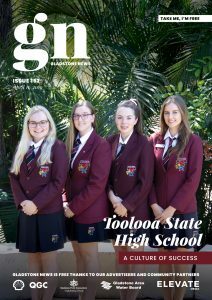 Also at State Titles a 1770 Wide Bay Crew – made up of 1770 paddlers, plus three from Bundaberg and one from Hervey Bay – won silver in the Open 10’s 200m. Dragon boat racing has established itself as a popular team sport since the first Sydney Dragon Boat Festival was held in 1984 at Farm Cove. Australian clubs regularly tour overseas and have been sighted at all the major international festivals. A 12-metre, 250-kilogram boat is used for paddling teams of 20, with one sweep and one drummer. Paddlers in the front of the boat are ‘sweepers’, good at setting and maintaining the regular paddling rhythm which helps the boat perform and stay steady, while further back in the boat, faster paddlers – or sprinters- are more adept at dealing with the more turbulent water at the rear of the boat. Each crew also includes a drummer to set the tempo, and a sweep, who steers the boat and is responsible for remaining on course and instructing the team during races. A competition boat, fully loaded, can weigh almost two tonnes. Top crews are able to paddle the boats at speeds of more than 20 kilometres per hour.